"E: Error in /sdcard/update.zip (Status 7) Installation aborted." It turns out that my bootloader was too old at 1.33.0004. To confirm if this is the case, shutdown your phone, then restart by holding down the back button and on button together. It takes about 3 seconds and then you get the fastboot screen. 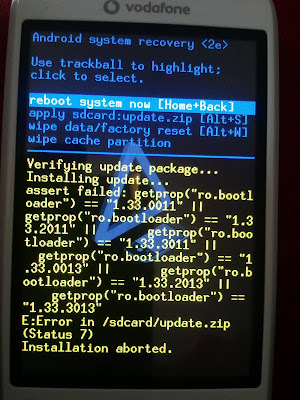 check bootloader version: if its 1.33.0004 then need to update. The picture above shows mine after updating. It also tells you if you have 34A or 34B phones. Then press 'menu' to shut the phone down. Copy this to the phone's SD card, and rename it to 'update.zip'. Then boot into recovery mode by holding down home and power until you get the warning triangle, which takes about 13 to 15 seconds on my phone. Then, press home and power again, and you should get the recovery console. Using the trackball move down to select 'apply sdcard:update.zip', and then press the rollball to start things off. It won't take long but there will be a couple of reboots. 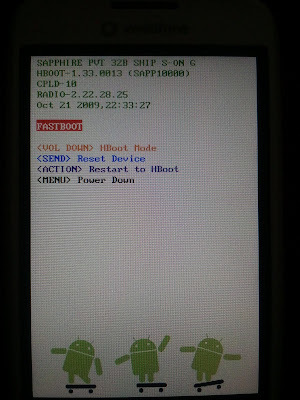 Eventually though you are returned to the phone and it'll be running the new boot loader. and once again copy to the phone's SD card and rename to update.zip. Once again boot to the recovery console (home + power for about 15 seconds), select 'apply sdcard:update.zip', and then press the rollball to start things off. Install MyTracks, Google Authenticator and Google Device Policy Management and you are good to go. thank you, thank you - you are the only person I could find on the web providing a straightforward way of doing this - worked like a charm! Great simple instructions! I am in the midst of this on a HTC Magic(Ion) 32B. XDA is great but short on simple/straightforward. 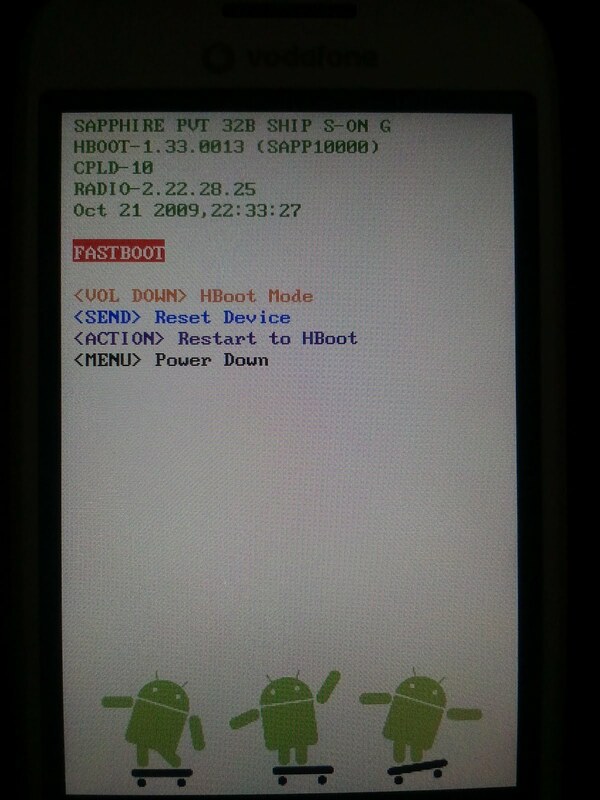 I guess there was no problem updating the hboot (SPL) prior to the radio. Also, I am on 1.5 and want to jump to 2.2. You know of any problems with that? My camera is not working its clsoing automatically when i try to ope..... i erased all data and reinstalled still have the same problem........... how can i make it work? 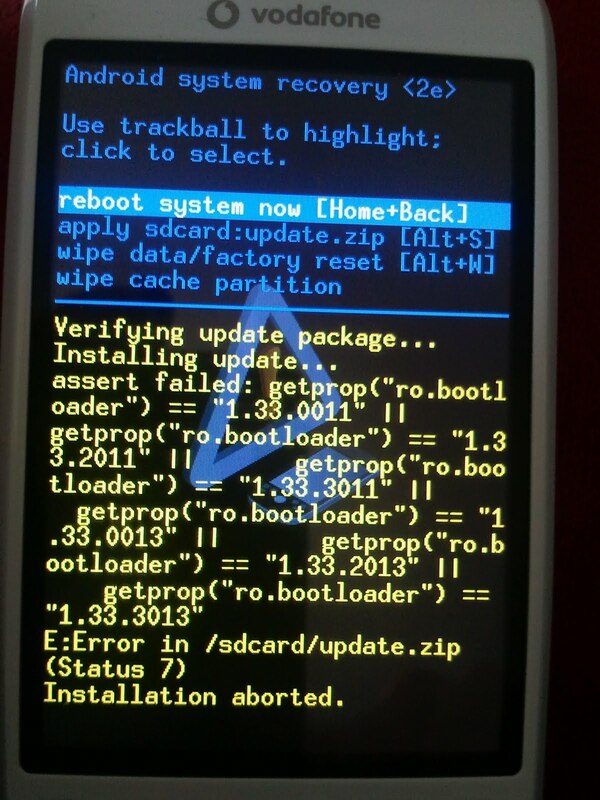 The ROM Update Utility cannot update your Andriod phone. Please get the correct ROM Update Utility and try again. BIG respect man!!!!!!!!!!!!!!! ive been tryin for ages to update my htc magic THANK YOU!!!!!!!! !